Salamanca is a very ancient city which remains dating back in the Paleolithic, Celtic and Romanic ruins. It was conquered by the Arabs and it was rebuilt in the XIIth century. Salamanca stands out mainly because of its University, which was the first in Spain, the ancient cathedral and also the modern one, the Roman bridge, the house of shells or the Main Square. We can also find many other important Romanic and gothic monuments and Arabic architecture. 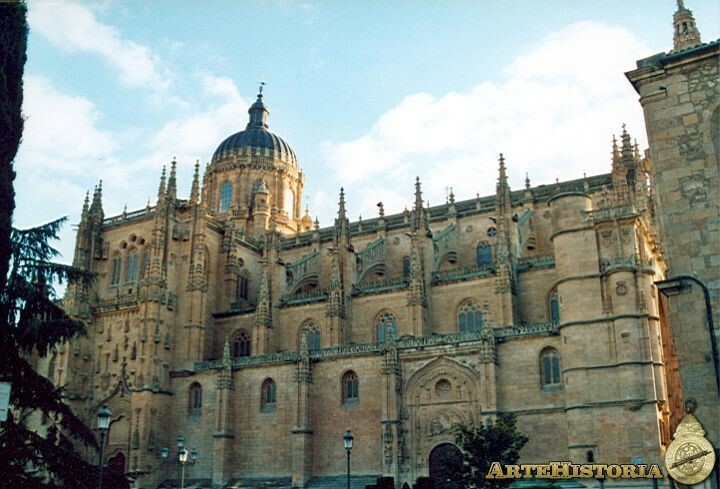 The St Maria’s Cathedral is one of the two cathedrals of Salamanca and it is usually known as the old one. It was founded by a bishop in the XIIth century. Bearing in mind Salamanca´s border role, the cathedral was used as fortress. However, the towers disappeared and nowadays it is considered as a Christian temple. On the other hand, Asuncion de la Virgen´s Cathedral, the new one, was built next to the other. It is a mixture of several styles and it´s the second biggest cathedral in Spain. 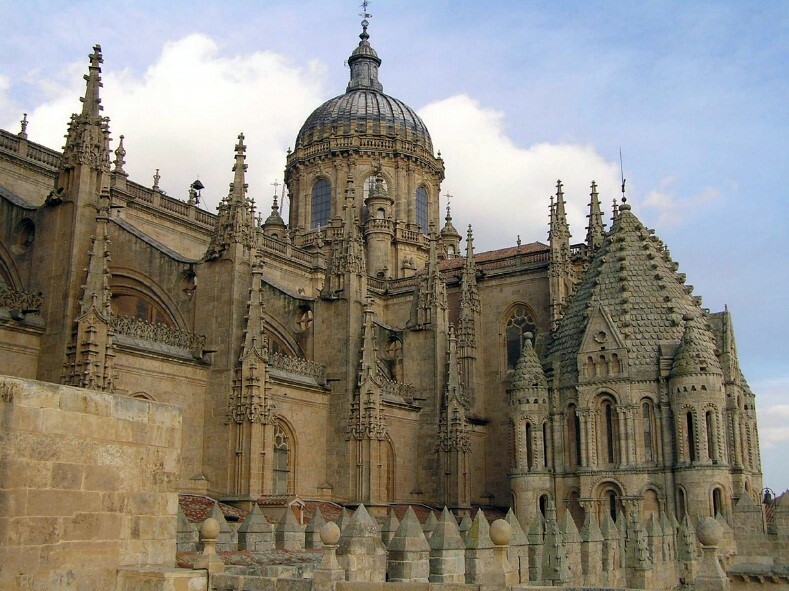 The main reason of its construction was the increase of the population in Salamanca as the university attracted many students. Therefore, the old one was seen as small and dark, so King Fernando el Católico ordered several architects to build this last one. 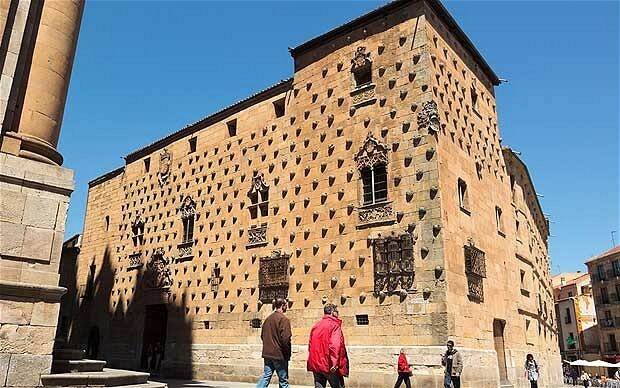 It was built at the end of the XV century by an important knight, who was a member of the order of Santiago. It is a mixture of gothic, Moorish and Italian styles, which in fact, looks amazing. This palace is decorated with 300 scallop shells! Some people say they are either a symbol of love or a decorative one to the outside. Nevertheless, other believe they referred to the Order of Saint James. 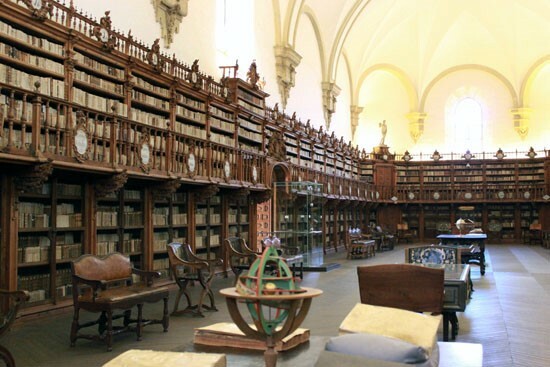 Today, the House of the Shells is the Public Library of Salamanca. The roman bridge is really famous in Salamanca. It stands 356 meters over the Tormes River. It was reconstructed in the 17th century since it was damaged by a huge flooding. Moreover, the bridge is very large, about 192 m long, but it was even longer before being destroyed. Finally, it forms part of the Silver Roman road that linked Merida with Astorga, cities of Extremadura and León. 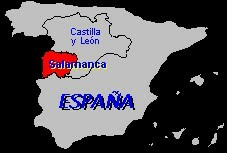 Salamanca is mainly known because of its university tradition. Here, in Salamanca, you can find two different universities, a public one and the pontifical one which depends on the church. Salamanca University, which was the first in Spain, is located in the most ancient universitarian area of Spain and is the only one which is nowadays still in use. 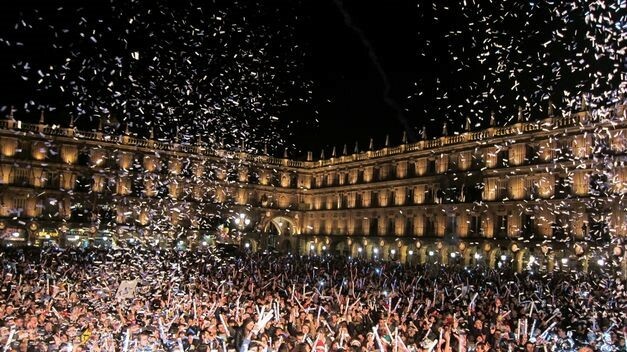 Both universities count with a university population of 32000 students, which make Salamanca the University City par excellence in Spain and Europe. 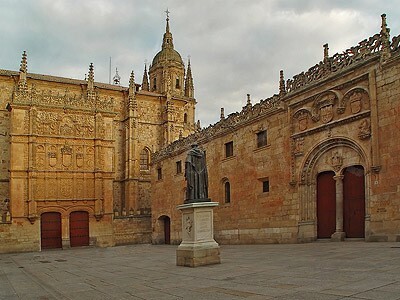 But Salamanca is more than a university, Salamanca has a great historical legacy; as the first Spanish grammar or the first universitarian woman. At the end of the first term of the school year, at Christmas, is typical the “Universitarian New Year”. This is a party in which the under graduates eat the 12 lucky grapes a few days before they return their homes to spend Christmas holiday.